Perigord blocks of goose foie gras are made from Perigord goose livers which have been mechanically processed in a vacuum in order to provide a product with a consistent texture, a refined taste and without obvious fat. 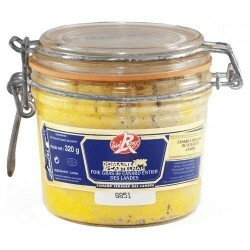 Ingredients: reconstituted Perigord goose liver, water, salt, sugar and pepper. 130 grammes is sufficient for a starter for 2 or 3 people and the Grolière block of foie gras is equally good spread on toast and served as canapés. 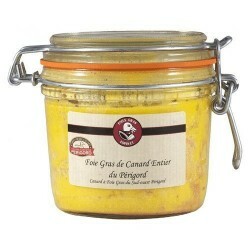 Perigord whole foie gras complies with exacting product standards which set it apart from standard foies gras. In addition, the geese are raised in the open air and in freedom on family-run farms in Perigord. 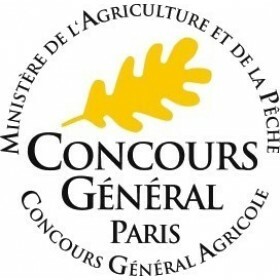 They are raised in line with strict welfare standards and are fed mainly on corn grown locally in South-West France. 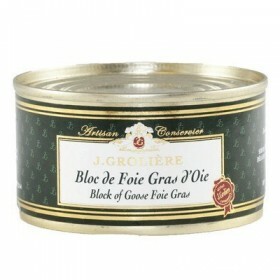 Flavour: the Grolière block of foie gras has a wonderfully delicate flavour and a beautifully smooth texture. 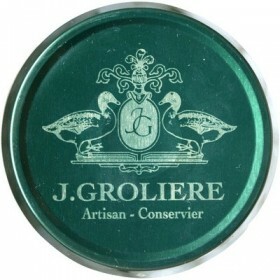 Grolière has earned its reputation for producing high quality products over a period of more than half a century. Its commitment to ensuring the authentic flavour of its foie gras products , and to using traditional methods for their conservation have led to Grolière being recognised regularly at agricultural shows and competitions. 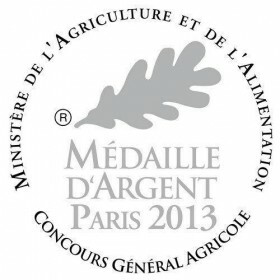 Serving suggestions: the ideal serving temperature is between 10°C and 12°C. 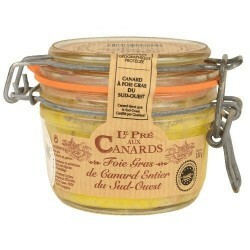 Turn out the foie gras and cut into even slices to serve as an aperitif on bread or toast. 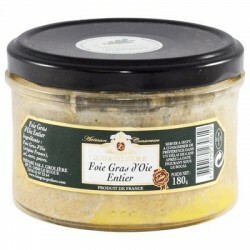 Alternatively, serve as a starter, either on its own with a little sea salt or with fig jam. Storage: will keep for several years in a cool, dry place. 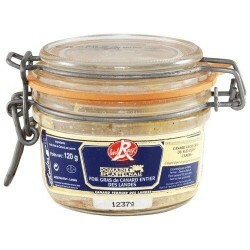 Consume within 6 years of the date on the lid.